We have our own SUP glossary of terms and terminology, but here Reuben takes us through a few more. 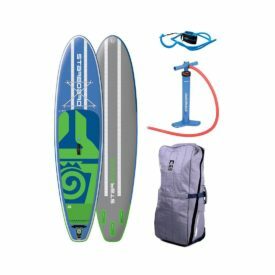 So in this SUPboarder how-to video, we’re going to be taking a basic look at the terms and terminology used when we’re talking about a SUP board. So this video, really, it’s aimed at people who are getting into the sport or people have just gotten into the sport, maybe bought their first board, or you’re watching a lot of our videos or reviews, and you want to know a bit more about the terms that we use in those videos. 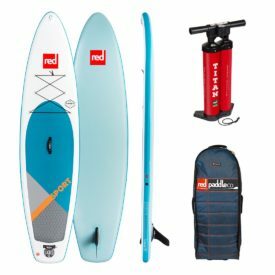 So a stand up paddle board, or SUP for short, has got many different parts of a board. Starting off at the front, you’ve got the nose of the board. The boards come with lots of different nose shapes. 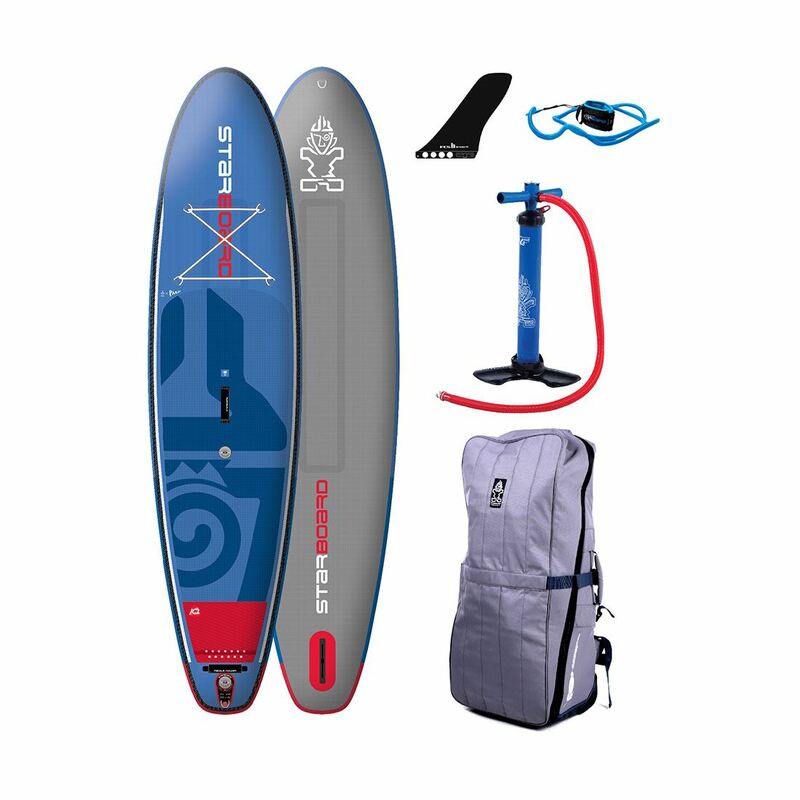 This board here, the blue board, has a round nose which you’ll find on most all round SUPs for when you get into the sport for the first time. Race boards have much longer, narrower noses and they’re better at piercing through the water faster. And surf shapes have got all sorts of known shapes from round to pointy to cut off stubby noses as well. Moving back from the nose, you have the deck which is the top part of the board that connects the front and the back. The deck has got lots of things on it, from bungee straps you might find at the front to store stuff, to camera mounts right up near the nose area and then also there will be a large deck pad on the board to give you grip and if there isn’t a deck pad then generally you would need to wax the board. Those sort of boards that haven’t got deck pads on are really more surf orientated that would need waxing. In the middle of the deck pad you will generally always find a handle. The handles can vary in shape, size or construction. 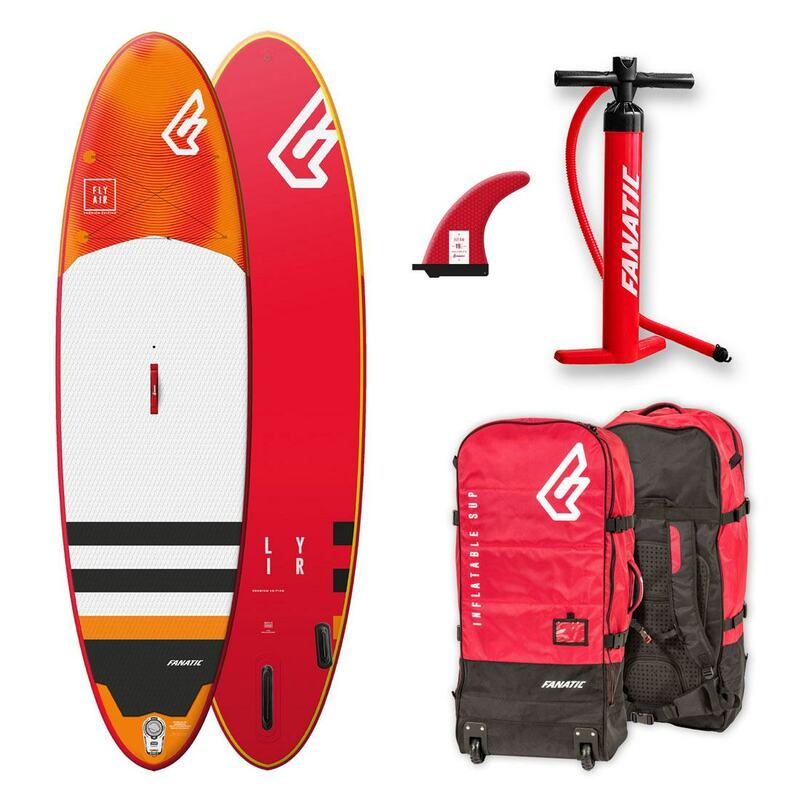 Hard boards, or composite boards as they might be known, have more handles recessed inside the boards and also handles you will find on other places of the board as well, especially if you’re looking at a race or more performance SUP. So the deck moves right back to the back of the board and then it connects to the tail. So the tail is the back part of the board opposite to the nose. 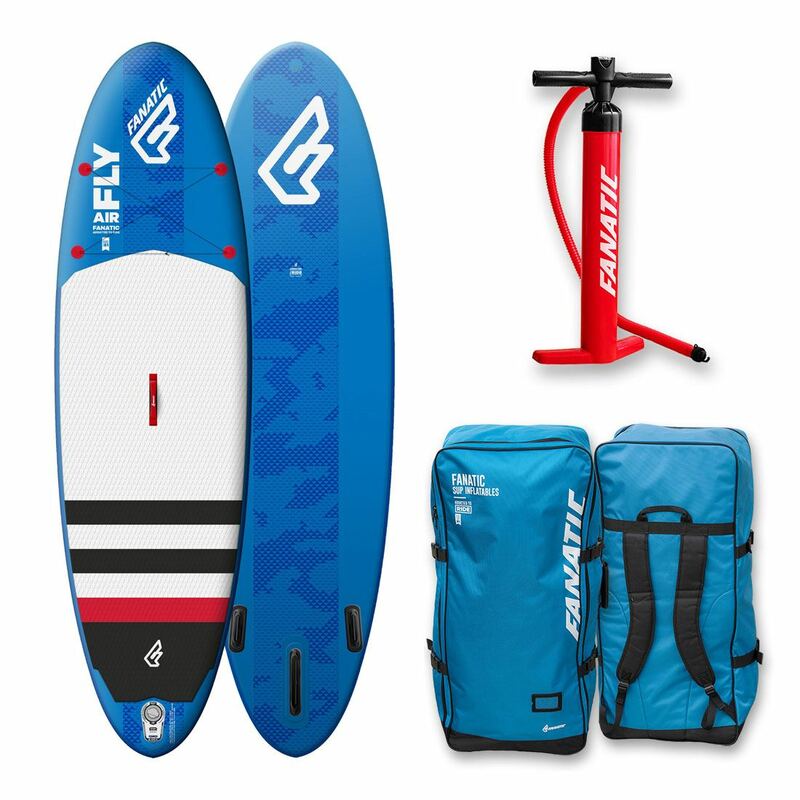 And also you’ll notice sometimes the tail of the board, there is a raised deck pad or kicker where you can put your foot against to give you extra grip in manoeuvres, like step back turns and when you want to catch some waves. 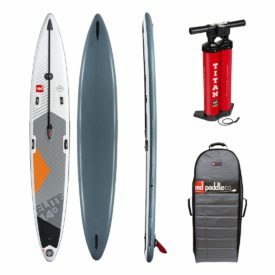 Just behind the deck pad, at the tail of the board you always usually find your leashing point and your inflation valve. 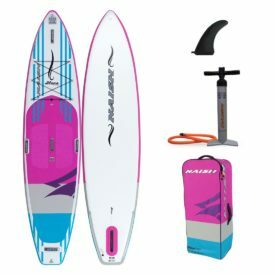 Some inflatable paddle boards will have an inflation valve at the nose or at the tail, it’s really up to the brand’s preference, and as far as a leashing point is concerned, 95% of boards will have a leashing point at the back. So when you fall off the board, it is easy, you can easily pull the board back in towards you. Sometimes there will be leashing points in the middle part of the board, but this is generally more for racing boards, when you want to release yourself from the board quickly and run up the beach. So for most boards the leashing point will be at the back. The tail shape at the back there, just like the nose shape at the front, does vary dramatically and it gives you a different characteristic feel to each different type of board. 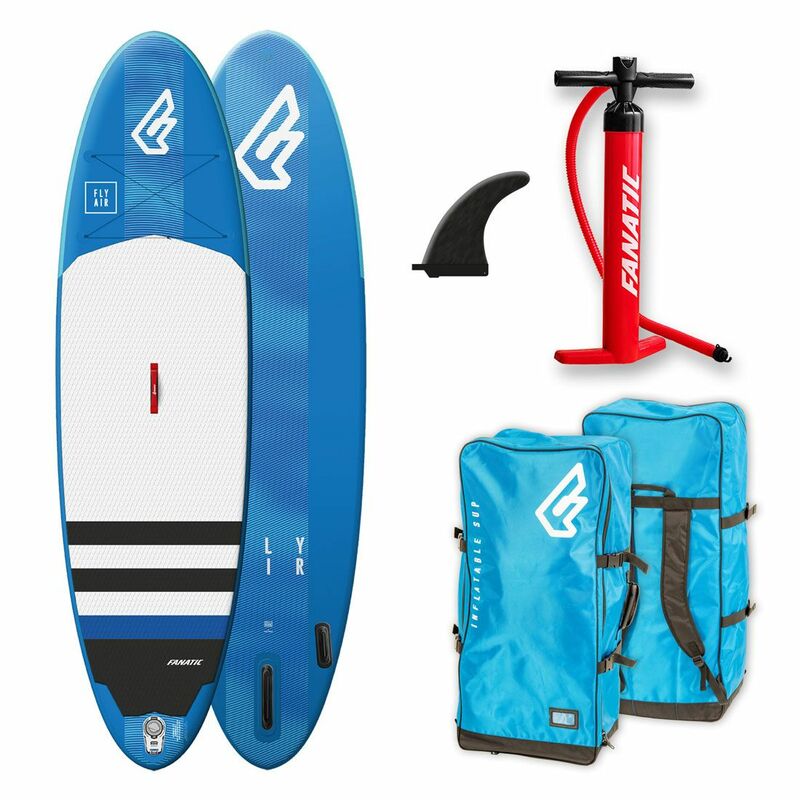 So race boards, surfboards, all round boards, they all vary in tail shape to give a rider a different sort of feel. The part alongside the board that connects the top deck part of the board to the bottom, it’s called the rail. 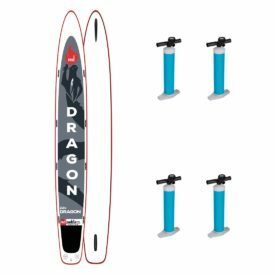 Rail shapes can also change and vary dramatically depending on what the manufacturer wants the board to feel like on the water. 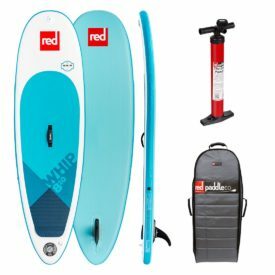 An inflatable paddle board like this one will generally have a round rail shape, all the way through, right round the board. Whereas a hard composite, maybe carbon board, may have a different rail shape from front to back. 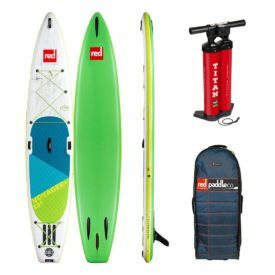 When it comes to the construction of paddle boards, you basically have two different types. 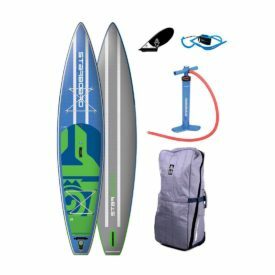 You have an inflatable stand up paddle board, or iSUP for short, like these two here, or you can find a hard composite board that’s basically made out of glass fibre, epoxy, carbon, kevlar, anything that gives a hard outer shell around the board. 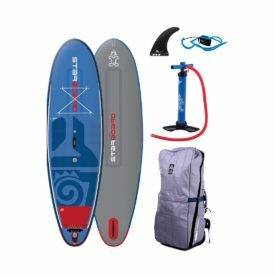 There are pros and cons to both of these types of boards, but definitely the most popular boards in the market and the board you’ll probably get into, will be the inflatable board, the iSUP. 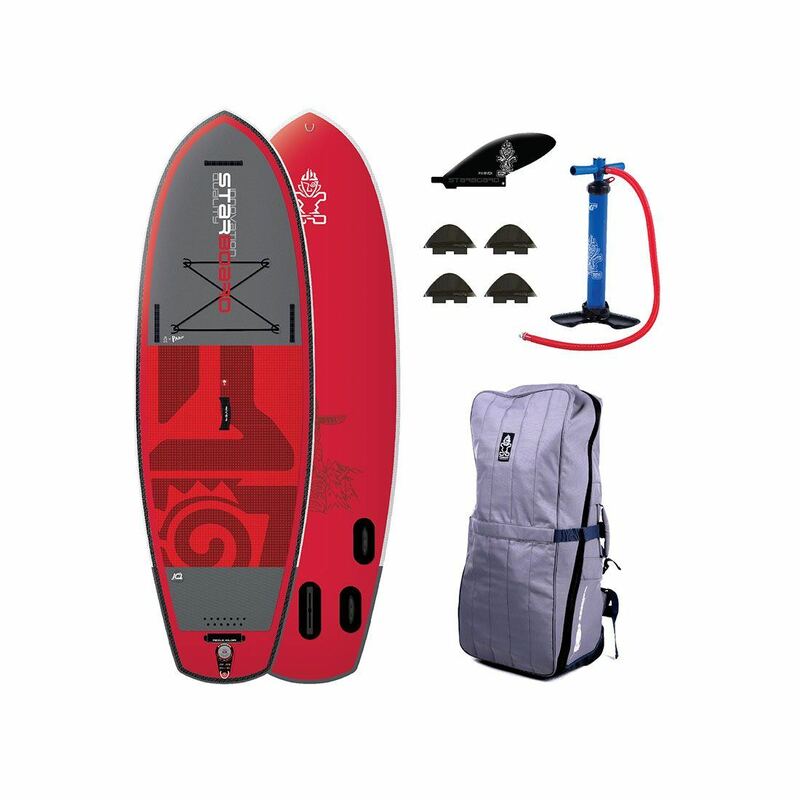 The iSUP is very durable, easily rolls into a backpack, so easy for transportation and getting into the sport. The composite boards are way more performance based. 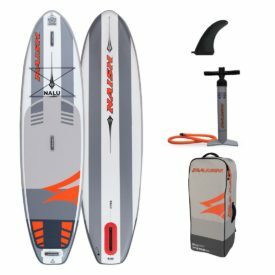 They are faster to paddle and they will offer you better performance in racing and in the waves. Looking at the bottom of the board, which is the underneath of the board, straight away you will notice there’s more curve on the bottom of the board, this is called the rocker line, The curve from front to back. 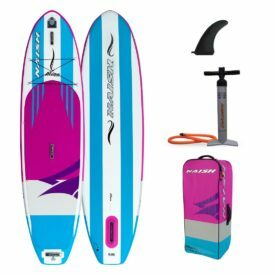 The front part of the rocker line can be called the nose rocker and this helps the chop and bumpy water move towards the back of the board. The back part of the board with the rocker line can be called tail rocker or tail kick. 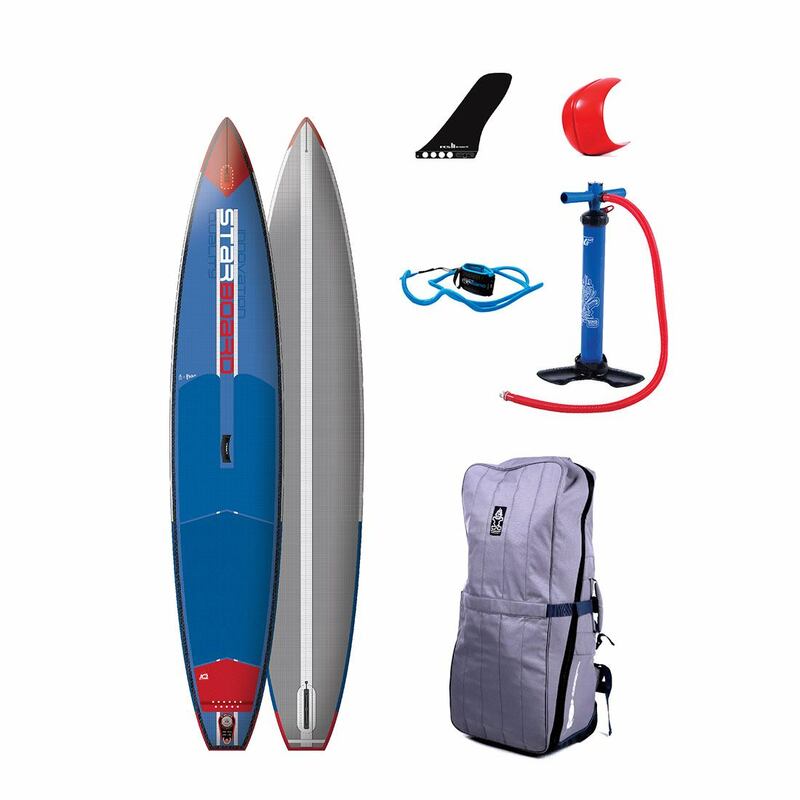 The combination of different shapes of nose and tail rocker do give the board’s all different feelings. At the back of the board, at the tail of the board where the tail kick starts to happen, you will have your fins. 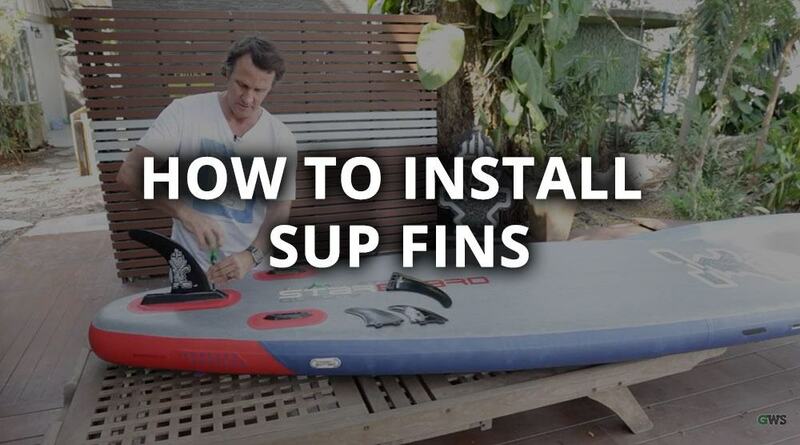 Fins vary in shapes, sizes and the amount of them you have on your board. 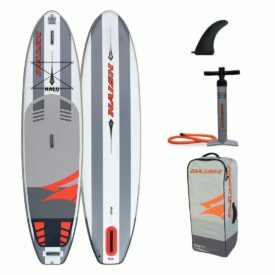 This board has a center sliding box so it’s a single fin. The most common boards you’ll find on the market are single base fins like these. Two plus one fin setups, which is where you have a single center fin with two smaller side fins. A thruster setup, which is where you have three fins, fixed all the same size. And then a quad setup, which you will find on surf shapes, which is four fins at the back of the board. 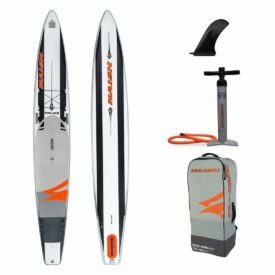 As for what is the fastest or best to use on the water it really comes down to personal preference and what the board should feel like on the water. A performance surf shape will generally have smaller, three thruster fin setup or four quad fin setup. 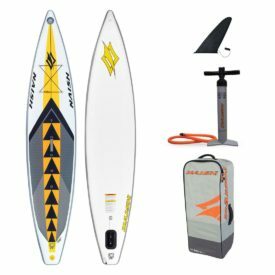 Whereas a beginner SUP will generally have bigger fins or a bigger center fin to help you go in a straight line and make tracking, which is moving forward in the water, as easy as possible. And to finish off, something you’re bound to come across is the dimensions of the board. You will always hear the boards in length, so this board here is 10’6″. You will always hear the board’s width, this one here is 32″ wide. You’ll always hear the board’s thickness, this one here is 6″ thick. The boards all do come in different thicknesses which then does change the performance and the feel of the boards, but it also changes the amount of volume or air inside the board. The higher the volume, the more weight you can put on the board, the lower the volume, the more the board’s going to be tippy, maybe go underwater slightly. 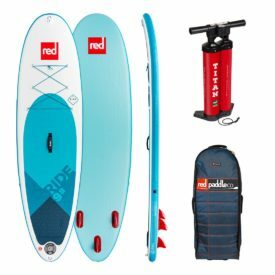 I have been an avid stand up paddle boarder since 2009. 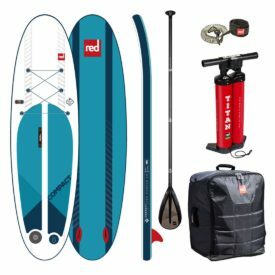 I retired from professional kiteboarding to focus on SUP. 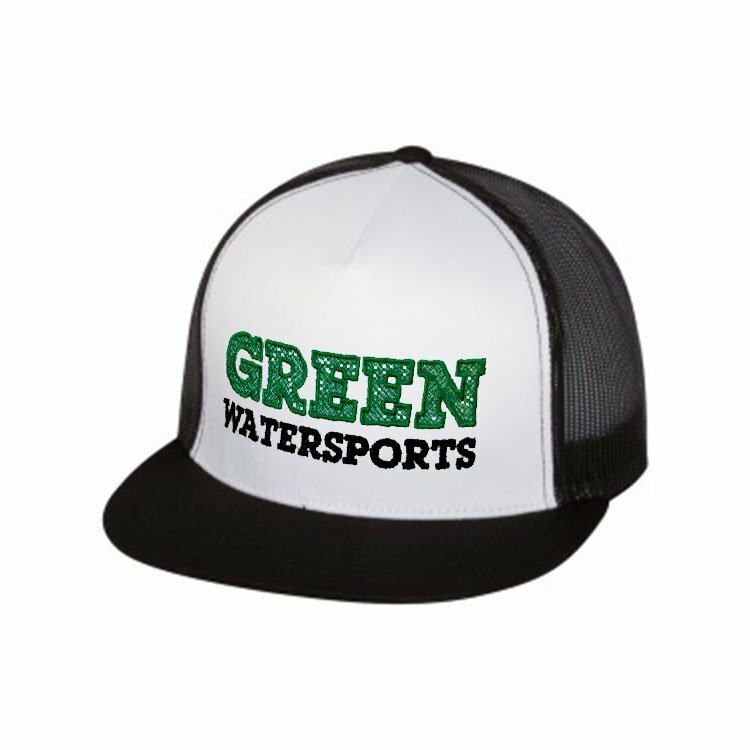 Green Water Sports grew from this love of all things SUP. As well as being a keen paddle boarder, I'm a hockey fan, football fan, closet petrol head, web tinkerer, husband and father. Posted on August 4, 2018 by Julian Kidd. Good communication with the owner and he delivered what I wanted in a timely manner. The product was well packaged and looks to be of high quality at a fair price. Thanks! Awesome, thank you again Julian. The level of care and service you have provided is first rate … It truly is most appreciated! We absolutely love our Red Paddle Co 12’6″ Explorer paddle board. 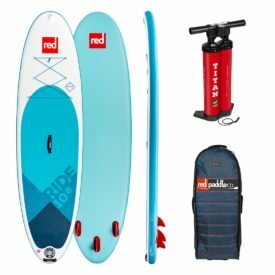 Thank you so much for your help with getting my Red Paddle Sport 11… I will continue to recommend Green Water Sports to anyone looking for a paddle board. You guys are amazing at getting back to me and in a properly quick time, thank you so much for all your help Julian. Thank for all your support. Wow, thank you for taking the time to answer my questions with care.